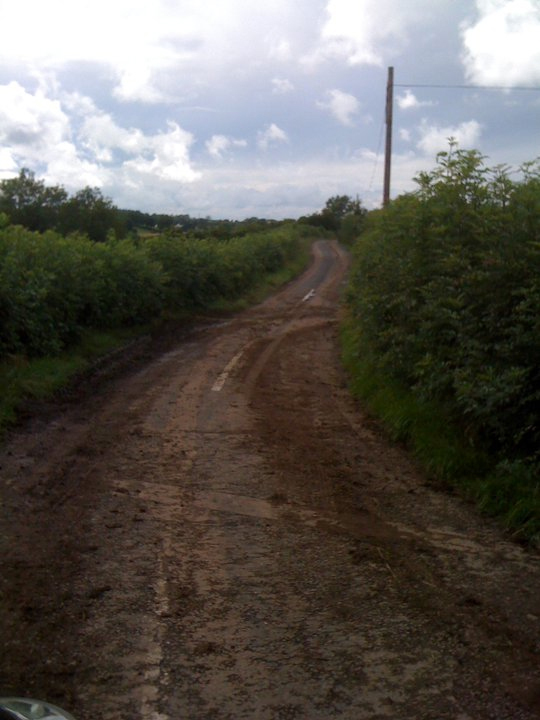 In May 2012 we reported on a BBC article concerning the prosecution of a farmer who had been fined for allowing muck from his fields to be dragged onto roads in the Portrush area. The BBC report said that this was one of the first cases of its kind to come before the courts. 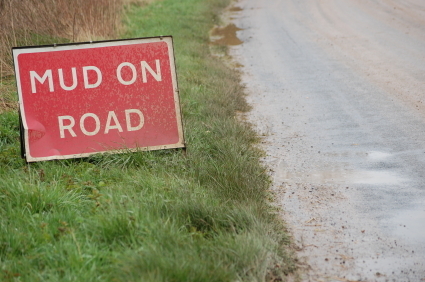 The farmer admitted causing mud and muck to be deposited on a road causing or likely to cause an obstruction or danger, although the farmer’s lawyer said the defendant had tried to clean up the road using a slurry tanker filled with water but this attempt was unsuccessful. However is this action of prosecution, highlighting responsibility (in this case, farmers) to make sure our roads stay clear of mud and debris a province wide position from the responsible agencies in Northern Ireland. 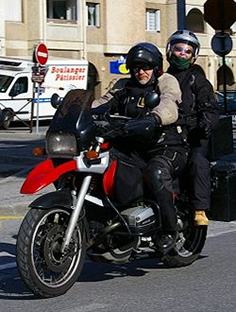 Earlier this year a motorcyclist from Co. Armagh contacted Right To Ride to ask: “Do you know who/which statutory body has responsibility for ensuring road surfaces in NI are safe and do not present an undue hazard to motorcyclists or other road users”? Our response was, “Yes it is the responsibility of Roads Service under the Department For Regional Development (DRD).” However we would add now that it is the responsibility of road users and others not to create these hazards in the first place and clean them up where necessary. The riders issue was that the rural roads close to where he lives are covered in muck/slurry/soil and debris left in the rider’s opinion by lazy, inconsiderate farmers. The rider had emailed the DRD Minister Danny Kennedy in August 2012 regarding the maintaining of roads the Ballylane Road, Gleanne and the removal of mud and debris from roads. Concerning responsibility, the Chief Executive stated, “While the responsibility for any prosecution for deposits on the road lies with the PSNI, the objective of enforcement is, however, not so much to secure convictions and to impose penalties, as to restore the road condition to its usual condition, and/or to discourage other potential offenders. To this end, Roads Service monitors rural roads on a regular basis and, where offenders can be clearly identified, they are instructed to clean a road, when local Roads Service staff become aware that it is unduly dirty. The PSNI is also informed, and if the offenders do not co-operate, the Police would consider taking action under the above 1993 Roads Order. In certain circumstances, particularly in the interests of road safety, Roads Service may carry out whatever operations are necessary, to restore the road condition and may subsequently seek to recover costs from the offender as necessary. I must stress that this is a discretionary power and there is no legal requirement for Roads Service to remove mud or debris from a road. So regarding this last paragraph the cleanliness of the road is deemed a council role, although the boundary between the two authorities, as Roads Service would only have a duty to keep the roads clear. Did any of this help our rider with his specific issue? 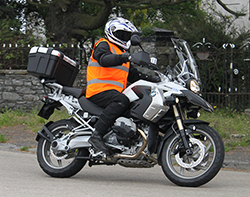 In a word – no and as our rider found out as regards a willingness to take responsibility, this can become a blurred area in practice. However although the procedures set out in the Chief Executive letter is quite correct we have to wonder if when the road was inspected that the additional risks for a motorcyclist had been considered. So the rider has been left frustrated with the situation as it would appear to him that the road was genuinely dangerous for bikes and that no-one wanted to take responsibility for cleaning up the mess in this instance. As this issue concerns farmers, we thought we would contact the UFU (The Ulster Farmers’ Union) who represent 11,500 members who are farmers and growers in Northern Ireland. Their response does take on board the contentious issue of Mud/debris on roads for road users and farmers. 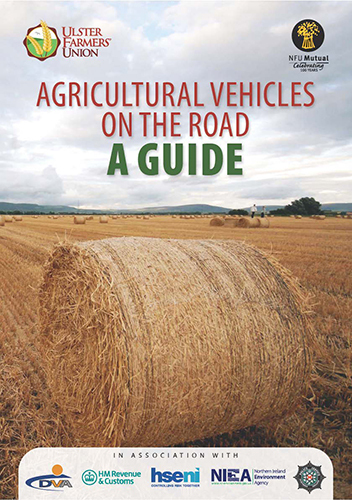 The UFU has published a guide to agricultural vehicles on the road which was produced with agreement of DVA(Driver and Vehicle Agency)/HMRC (HM Revenue & Customs )/HSENI (Health and Safety Executive Northern Ireland)/NIEA (Northern Ireland Environment Agency)/PSNI (Police Service of Northern Ireland ) which is available free to all of the UFU 11,500 members. 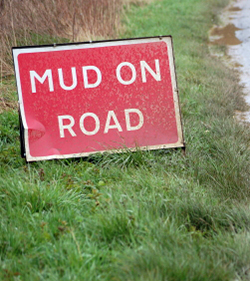 ‘The Roads (NI) Order and Road Traffic (NI) Order Legislation imposes a Duty of Care on everyone to ensure they do not cause mud or other materials to be deposited on roads. The build-up of mud etc. can be potentially dangerous to motorists therefore affected roads must be cleaned regularly. Any person who wilfully or recklessly allows filth, dirt, lime particles or other offensive matter to run, flow or drift onto a road from any adjoining land may be liable for prosecution. The UFU has taken measures to advise its members and to point out their legal responsibilities. However whether these are enacted on or any moral obligation to beware of any consequences for the safety of other road users caused by their inaction is down to the individual. As we live in a province, that the UFU says that, agriculture is the biggest industry in rural areas, it is inevitable that farm operations, most of which are seasonal, will be more prevalent on rural roads at certain times of the year so perhaps there is a need to warn other road users on what to expect at certain times. 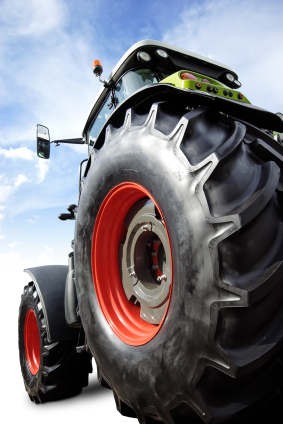 These farm operations are possibly something that riders need to be aware of while riding rural roads. Maze harvest – Tractors and trailers, self-propelled harvesters – Oct/Nov. Potato harvest – Self-propelled potato harvesters, tractors and trailers – Sept – Nov.
Movement of dairy cows – in some cases dairy cows have to be moved on the road to access pasture away from the farm unit, these movements are frequent (at least twice a day)- May-Sept. Hedge Cutting – if the hedge is impairing visibility of road users or obstructing members of the public, posing any risk of impairing visibility at junctions, crossroads, sight-lines or road signs then hedge trimming is necessary. If not then hedge trimming must be delayed at least until after 31 August. These are a general estimate of times, because farming is so weather dependent that these will vary. Also there will be other forms of movement that are specific to certain areas such as in North Down/Ards/Armagh as there would be a lot of vegetable producers. In presenting the information from the UFU it is not our intention for this to be an excuse for farmers not to take responsibility, these are guidelines which are supported by rules and legislation. As riders we should be aware of what rural roads hold. In this instance of mud and debris on the road in Armagh there appears to have been a major glitch in communication between a rider and the Roads Service. This should not put riders off from reporting Mud and Debris on the road and in most circumstances the system of on-line reporting, contacting local Roads Services Offices or the PSNI directly, will work to everybody’s satisfaction. Country roads with farmer’s tractors leaving wads of muck across the road to skid on. Builder’s plant machinery does much the same at site road entrances and exits. Diesel & oil from trucks and buses; just have a look a look at the road on any bus route when its raining, you can see a trail of both throughout. Loose gravel spilt on to roads, (unluckily it always seems to be on bends for some reason), it must be from quarry trucks. Potholes virtually everywhere. White lines, signage and bloody arrows painted all over the road to slip on. We dont need them! Slippy manholes on bends are a particular annoyance of mine. This sort of nonsense together with the already dreadful road surface quality overall in N.I. makes a lethal combination. The wet weather and flooding during the winter months made it madness to ride on the road if you commute on a bike. You didnt know what was coming next. Thanks for highlighting these issues for bikers. We need to speak out. A similar problem is encountered here in England. In a recent case of the death of a motorcyclists a judge decided to say that a motorcyclists or other road users should have been aware of the dangers of riding on country roads and that was the domain of the farmers . failure to understand this led to the accident and therefore it was the fault of the rider. We have legislation under the road traffic acts so that action could be brought against the farmer or other persons who may be guilty of these offences. However the authorities are reluctant to take action and basically we just want the road to clear of these dangers and where they are likely to occur to have provision there and then to deal with need at the time and not to allow it to remain for any length of time.